Order Your NUMISMATIC ESTATE GUIDE Today! Many collectors—and family members who inherit coins and related items from a loved one—need help disposing of a collection. 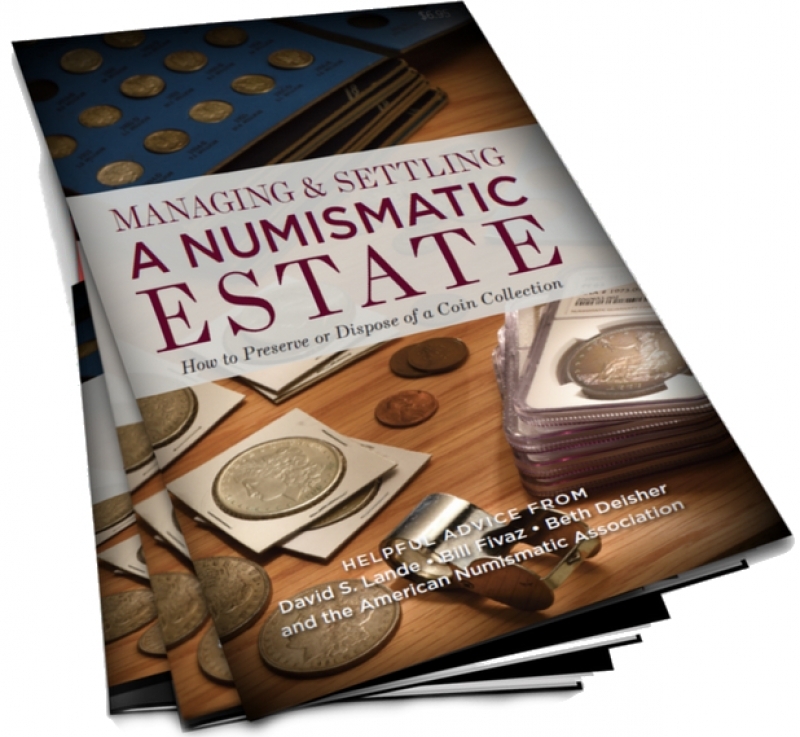 The ANA's "Managing and Settling a Numismatic Estate" shares practical tips for creating an estate plan; caring for a collection; inventorying the items and assessing value; and finding buyers. This hot-off-the-press resource is available to ANA members for $6.95; non-members $8.95 (shipping included). To order your copy, call (800) 514-2646. Email membership@money.org for information on bulk discounts.